I love mornings in the wilderness, the crisp air and the warmth of the sun as it breaks over the horizon. In this photo of the Rosebud Creek in Montana I chose a shutter speed fast enough to freeze most of the water while still leaving enough motion blur to give the viewer a sense of movement. 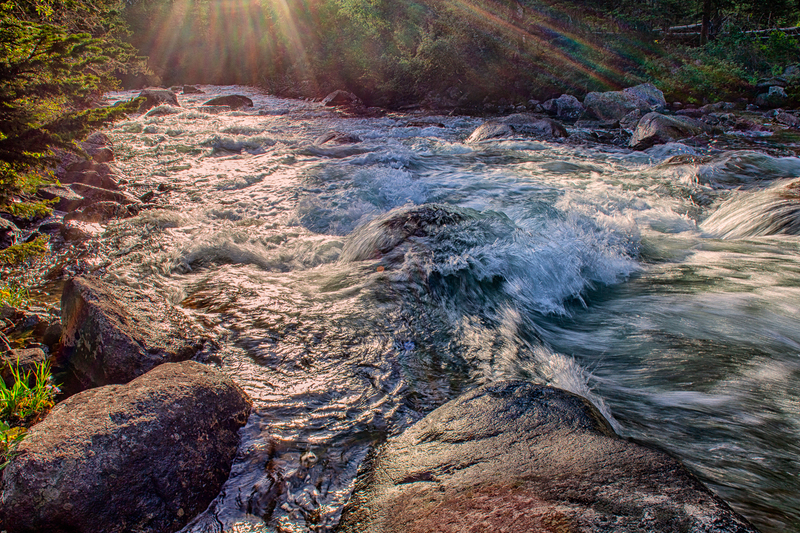 The combination of the still and moving water helps convey the power of the creek. You better have something to hold onto if you plan on crossing this rapid creek.